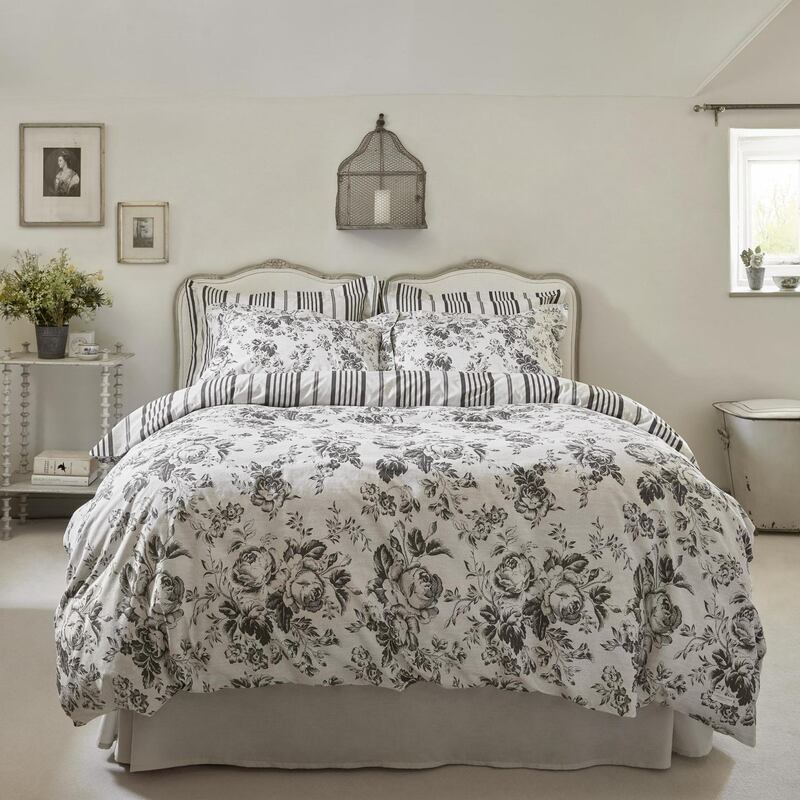 A bold yet gentle statement of finely drawn roses in charcoal grey on a ground of off white, backed with a smart charcoal stripe giving two very different options from one duvet cover. A perfect option for a feel of country in the city chic, making a luxurious statement in any bedroom. 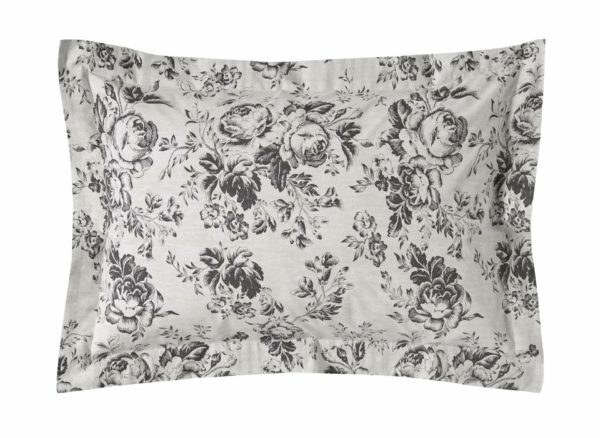 Made from a beautiful 100% cotton, you will experience all the benefits of natural materials that inherently keep you cool and your temperature controlled throughout the night.